Ocean Island Holidays – the Maldives and Sri Lanka travel experts, with over 15 years experience in these two stunningly beautiful Indian Ocean island nations. 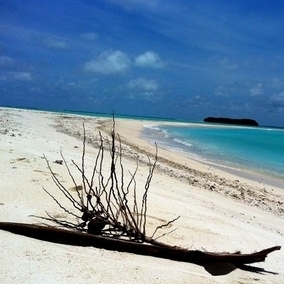 Ocean Island Holidays is part of the ‘Spirit of Maldives’ trade group. Ocean Island Holidays have a selection of resorts in the Maldives, reflecting the island paradise this tiny island nation has become renowned for, from simple resorts offering a bare foot, laid back paradise with the finest offerings from Mother Nature, to the more up market resorts which reflect the true beauty of the Maldives under a canopy of luxury and catering to every need. A mere one hour flight away is the equally beautiful and very diverse neighbor of Sri Lanka – otherwise known as the ‘Teardrop Island’. Whether seeking a combination of a palm fringed island in the Maldives and a cultural tour of Sri Lanka, either experience on its own, or one of the many different tours available in Sri Lanka, or indeed hotel and beach stays, or one of the many optional activities such as walking and hiking in the hills, Wildlife safaris, or Whale Watching in the south of Sri Lanka, these two tropical countries have a tremendous amount to offer.